I´m planning to install a Dash Cam. I´m thinking that the nearest place to find 12V DC is the rear view mirror. 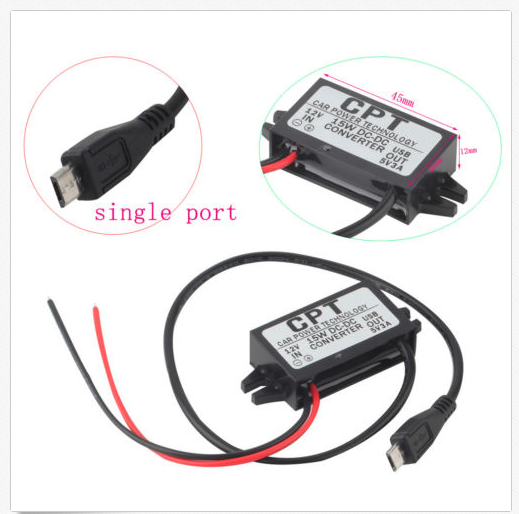 It would be rather easy to power the Dash Cam from it´s cable using a 12V/5V Micro usb converter. I`m just wondering how much power can I take from the mirror 12V cable for the camera. I Have a 2014 Avensis Diesel 2.0. I guess that the camera might need max 3W power which means maybe 200-300 mA. Other this kind of installations can be seen on Youtube. Any comments or suggestions for Avensis? You need to check with your Cameras specifications, mine states 12v via a 2A fuse or 5v at 1.5A. Most suggests a connection to the fuse box via a piggy back connector , easy enough to hide the cable under the door seal and headlining. A possible problem with your idea is that power point may remain live when the ignition is off, so the camera will continue to run when parked. Have you bought that dash cam yet ? - might have some info if not. If you use that power converter , where would you put it , would look odd on the roof ? I haven´t bougth the camera yet - thinking about Ebay. The Power converter fits well inside the plastic channel which leads to the mirror, converter is just 12 mm high and 26 mm wide. Well I have had a couple of the cheaper Chinese car cams and they are not that reliable and understanding the controls is rather difficult. Not sure if you are in the UK ? but here the Nextbase 212G is on sale for £50 as a complete kit; got one just before Christmas, and it works great. Its so straight forwards to use, clear English controls /manual and has GPS so it records your location and speed, what the insurers need, plus its got the very easy magnetic mount so you can quickly unplug it etc rather than leave it on display when parked in dubious places. The standard kit just plugs into a cig light socket or you can buy their hard wire kit if you cannot make a simple direct connection. Though Argos say 'Clearance' I checked with Nextbase and it is a current model.